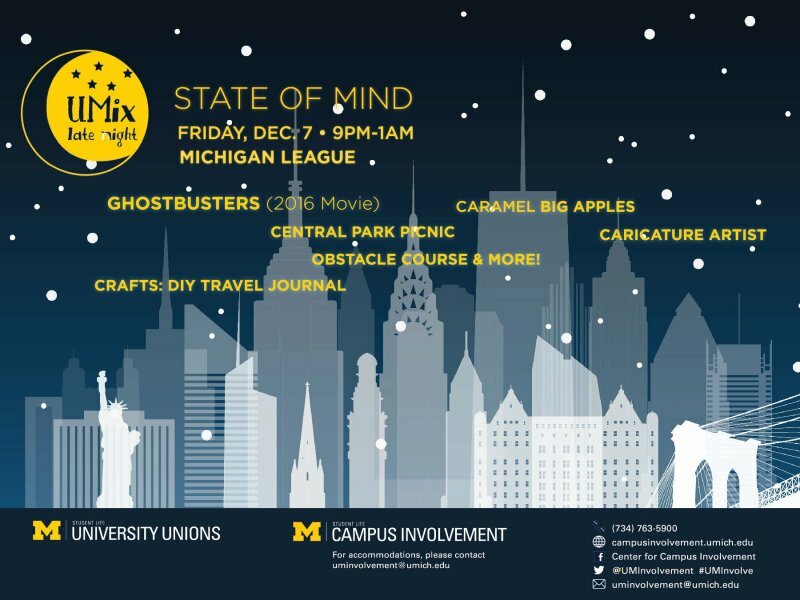 Explore the Big Apple of Ann Arbor at UMix State of Mind on December 7th from 9pm-1am in the League! 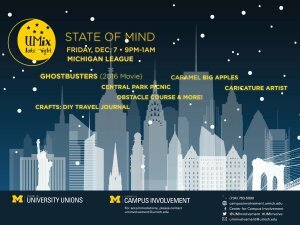 Enjoy a Central Park Picnic, conquer an obstacle course, make your own travel journal, and more all while watching Ghostbusters! Spend your Friday night in the city that never sleeps!